The Apps Revolution: To plunge in or wait ? Apps Apps everywhere! Mobile apps are where website was 15 years ago. In those times companies have suddenly realised they need websites and everyone went out and hired web developers to do it. Websites were launched in all different layouts and colors and everyone was having "Oh my god" moment. Everything was fantastic and good, because no one really knew what should be on them. Then came Blogger, wordpress and several other platforms that dictated design and usability to not just users but also companies. They pushed everyone to rethink the way websites are built and kept redefining the design. Apps are a price for both consumers and developers. Companies are beginning to understand the importance of being available in Apps to engage with their customers. Apps are beginning to make way not just into B2C but also into B2B creating a sea of change. Intranet sites and applications are being converted to Apps that promotes employees productivity and improves the overall performance. Gone are the days of painful client server interfaces, organisations are switching to faster and easier cloud based web apps and mobile apps for easy access. Portio Research (March 2013) estimates: 1.2 billion people worldwide were using mobile apps at the end of 2012. This is forecast to grow at a 29.8 percent each year, to reach 4.4 billion users by the end of 2017. Much of this growth will come from Asia, which will account for almost half of app users in 2017. 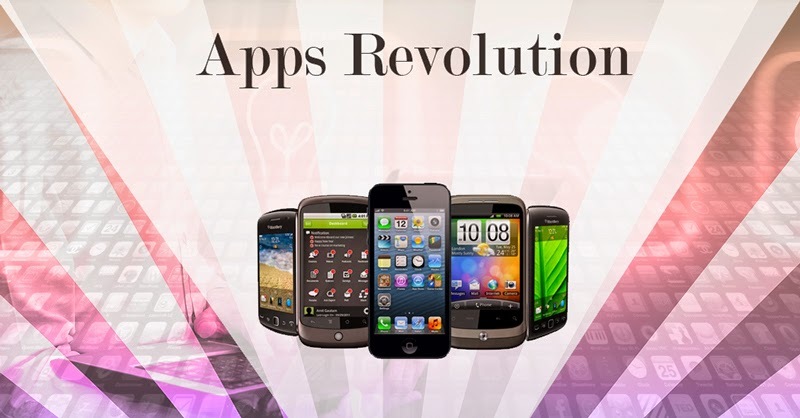 So the Apps revolution has began, and wheather you like it or not you and your company will be part of it. Given the possibilities of functions in mobile devices. the consumers have high expectations from Apps. Apps needs to be faster, cheaper and reliable. Developing Apps inhouse could be painful and expensive process. Mobile apps are going through paradigm change, and what is hot in trend may be completely out of style in few months. This gives all the more reason not to invest a lot in Apps. Find the right partner and take the first step in creating that apps your business needs now, it may be minimal and basic , and then you can start to shape it up as you go. If you like to know more about mobile apps development please contact us here.